Anthony Faust, Valerie Roberts (Demon), someone else. Someone standing at left of table, Brian at right. 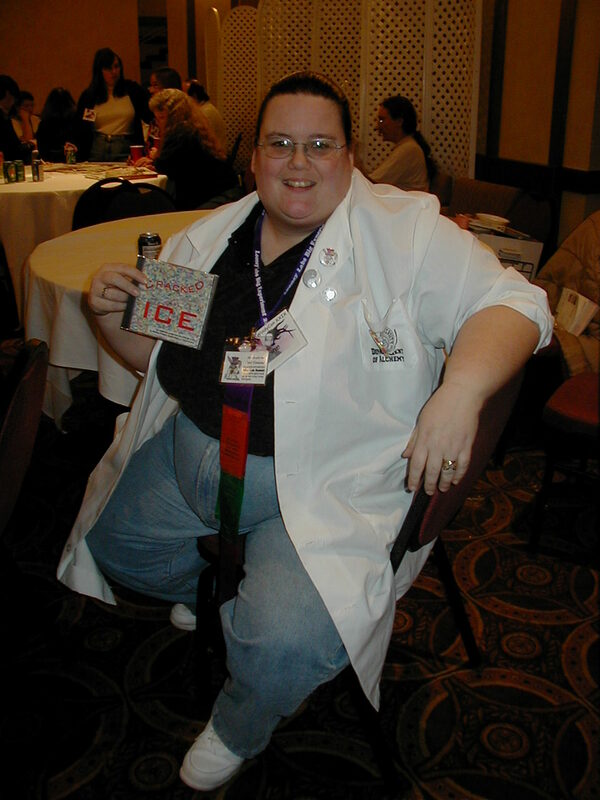 Sheila Arnold, official Lab Rabbit for Looney Labs, holding Cracked Ice game. Kathy Gorny, Anthony Faust, Valerie Roberts.